My husband gave me this Dimension cross stitch kit as a Christmas gift in 2016. We love our Dalmatians dogs and no way would I want them to lose even one of their lovely spots …. so took me a while to come up with how I wanted to change the design. Since the puppy looks like it had been playing in yard dirt (probably digging up a flower plant or two) I came up with the idea of the puppy watching a butterfly alight on a rose bud. Worked on 14-count white Aida. Design is about 10″ by 12″. 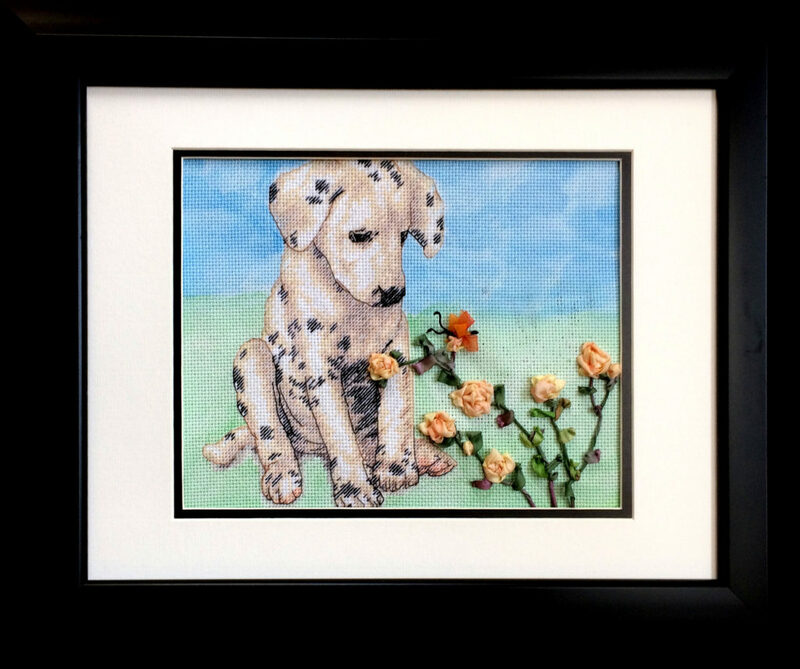 After I had finished the cross stitched puppy I painted the white Aida fabric using water colors.